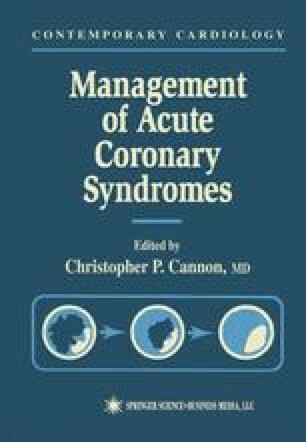 Accurate identification of acute cardiac ischemia (ACI) in the emergency department (ED) remains a task that challenges the skill of the most seasoned clinician, even though angina pectoris was described in great detail more than 200 years ago by Heberden (1) and the presentation of acute myocardial infarction (AMI) was first reported 85 years ago by Herrick (2). Each year in the United States, over 6 million patients with chest pain or Imminent Myocardial Infarction Rotterdam (IMIR) Study (3) inclusion symptoms present to EDs (4), and approximately 25% of these will have ACI. Physicians have the task of identifying, treating, and hospitalizing (in the appropriate unit) the approximately one-third of these patients who have true ACI (5) (i.e., either AMI or unstable angina pectoris [UAP]), to avoid filling hospital telemetry, stepdown units, and coronary care units with the large majority of patients who do not have ACI.